1. 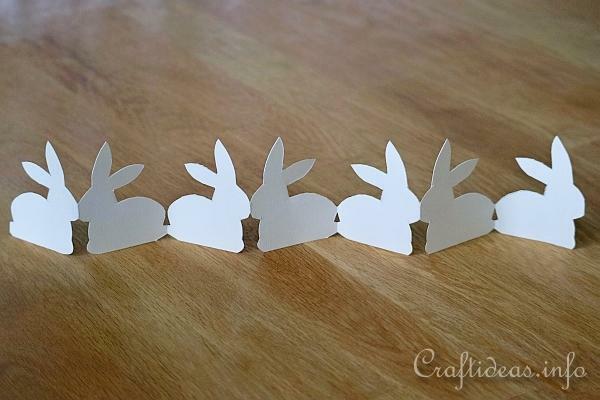 First of all, print out the bunny template to a size that is approximately 5.5 centimeters wide and 7 centimeters high. 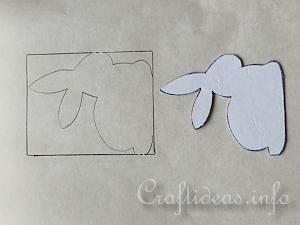 You can either trace the bunny on a sheet of tracing paper or simply glue the printed version on a cereal box side and cut it out to create a firm template that can be easily traced. 2. 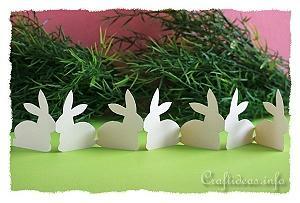 Measure the height and width of the bunny. 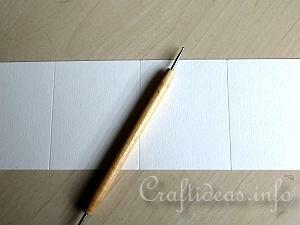 Cut the paper to a height of 7.5 centimeters plus a little more and 42 centimeters wide (the width of the paper). 3. 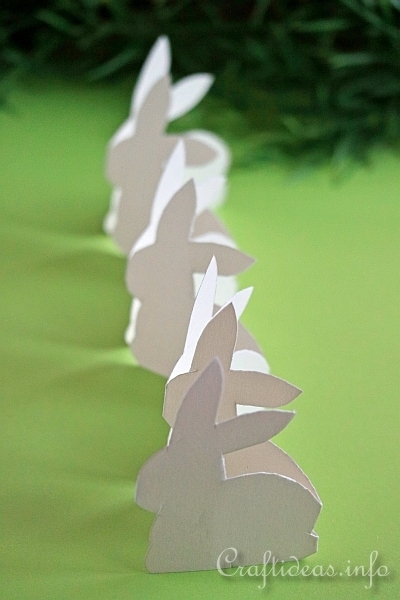 Then using the ruler and a bone folder or embossing tool, score the folding lines (the width measurements of the bunny which is 5.5 centimeters) along the strip of paper. You will have about 7 folded segments. 4. This is how it looks once you have scored the lines. 5. 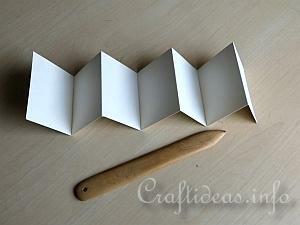 Then you will accordian fold the paper strip. Then fold the paper together. 6. 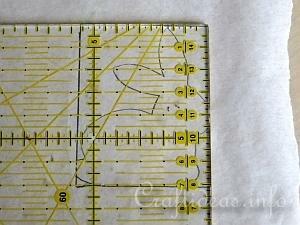 Place your template on top of the folded paper. 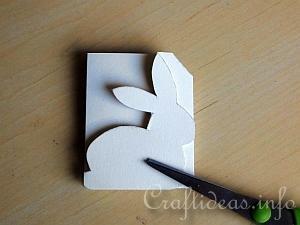 Use a paper clip to hold the template in place if you like. 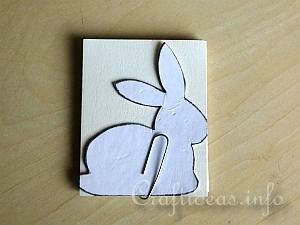 Then trace the bunny on the folded paper. 7. 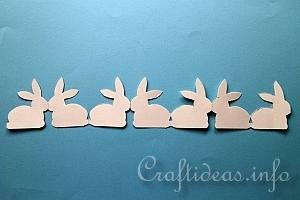 Cut out the bunny. 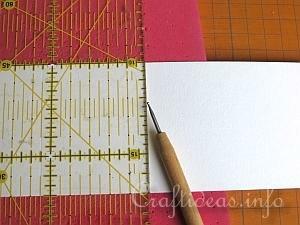 You can cut it sections at a time if the paper is too thick to cut through all of the layers. 8. 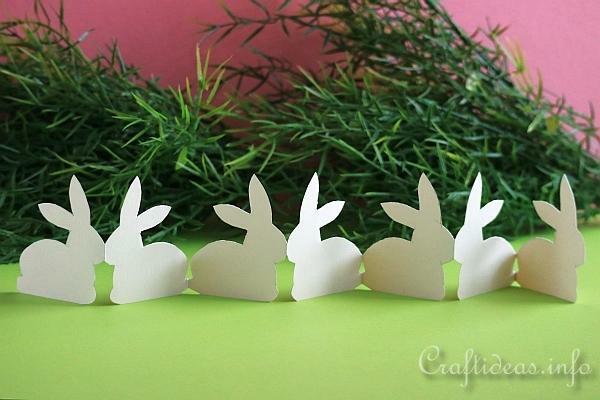 When finished, you can open your paper and you will have a cute paper garland for decorating.